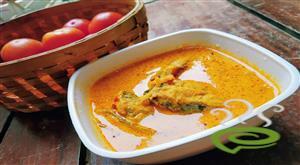 Marinate the cleaned and cut fish with salt and turmeric powder for about 10 mins. Grind the mixture of poppy seeds, cashews and curd until the poppy seeds are finely ground. Fry the marinated fish in oil. 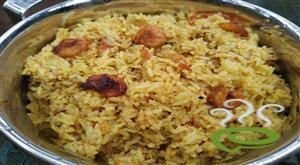 :- Make sure that the surface is evenly golden brown in color. Heat the required amount of oil in a pan. Add finely chopped onions and saute until it is transparent. Add ginger-garlic paste, cumin powder and fry for 2 more minutes. 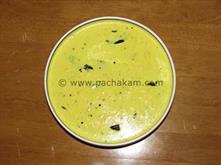 Add the ground mixture of poppy seeds, curd and cashews, sliced tomato and green chillies. Add oil to it and heat it for sometime. When the mixture starts sticking to the pan, add almost 1 cup of water followed by coriander powder, chilly powder, turmeric powder and salt. Add the fried fish pieces and cook on medium heat with the pan covered for about 10 mins. 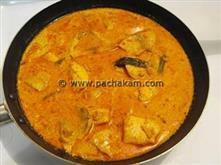 :- Make sure that the curry does not stick to the pan. If it sticks add required amount of hot water to the curry. Dont add too much water as the gravy will be too thin. After 10 mins, switch of the stove. and garnish with chopped coriander leaves. Where is garam masala used? Please mention the quantity of fish to be used? How can you get those poppy seeds ground? I think it may need a conventional stone grinder. I was so disappointed to see that. Sorry.. I didnt get the dish well. I can rate it only 2 stars. 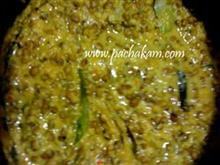 Lakshmi.....u can use 3/4 cup of poppy seeds inorder to get a thick gravy....But if u dont want it to be that thick then u can add 1/2 cup of it....Hope u like it. 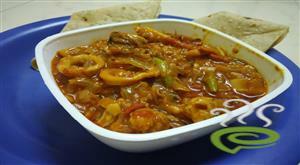 tried the fishcurry...tasted so gud...Yummmmyy!! !.goes well with rice or chappathi.do post recipes like this. 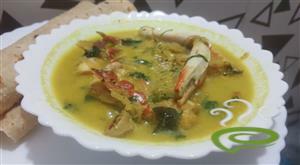 Wonderful recipe.....the gravy is too rich and too good....Do post more recipes like this.